Book the Orchid Room on the 3rd April and receive a $100 voucher! 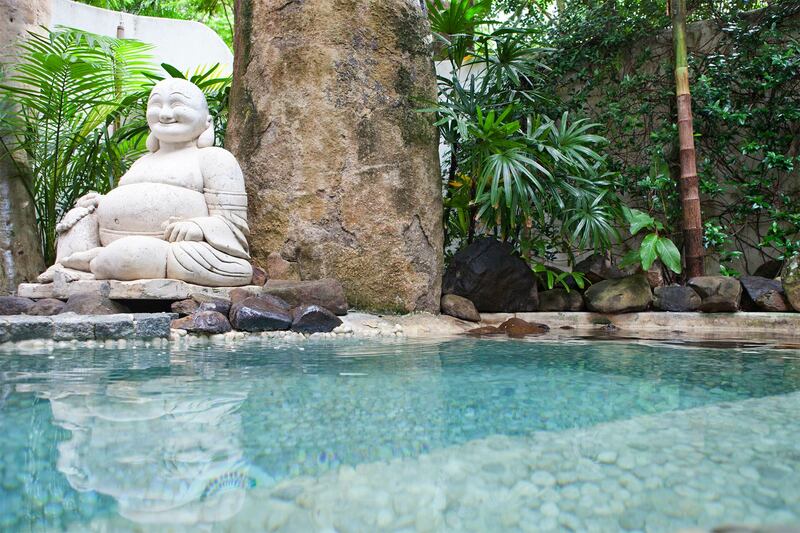 Buddha Gardens Byron Bay Day Spa has soothed and nurtured locals and visitors for over ten years and is truly one of Byron Bay’s hidden gems. Our therapists are passionate about restoring health and well-being and in turn will revitalise your body and calm your mind. All treatments include complimentary use of our garden area, heated plunge pool, sauna & Byron Bay Herbal Tea, making Buddha Gardens the ultimate Byron Bay Day Spa experience. 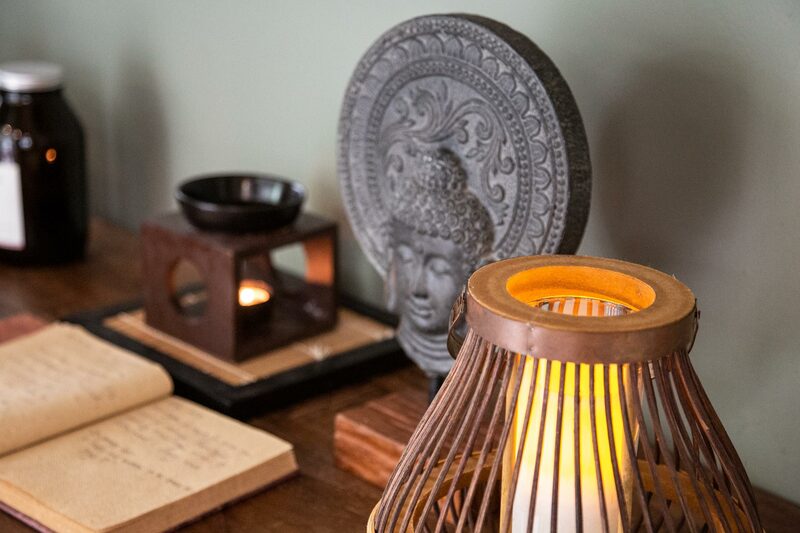 Buddha Gardens Day Spa is the perfect place for time out alone, with a loved one or with friends. If you are seeking accommodation nearby, we recommend Amala Villa and The Garden Burees and by doing so, you receive 10% off at Buddha Gardens Day Spa. Looking for the perfect wellness and relaxation gift? Gift Vouchers are a great way of saying thank you and showing that special someone you care or can be an ideal gift for your staff. Buddha Gardens Byron Bay Day Spa Gift Vouchers are available for all Spa Treatments and retail products, or if you can’t decide, you can also purchase a Gift Voucher to a particular amount. We are here to help you find the perfect treatment, if you need some help, we are here to help you find the perfect treatment. All Gift Vouchers can be purchased online or if you prefer, over the phone. "Wow! What an amazing couple of hours. The pool area is beautiful and the 90min massage was the best I've ever had! Thank you! So good we have booked again for next week. " "The staff were just lovely... the massage was great and the fact that I could relax by the pool/garden after the treatment without being rushed really made the experience special and unique. Thank you very much." "Awesome experience. Beautiful place, beautiful therapists and crazy little water dragons. A great way to spend an afternoon." "Thank you for pampering us and for making us feel totally refreshed and revived on our honeymoon! What a beautiful place and experience. We will be back next time in Byron." "The whole experience was blissful from start to finish, the staff, treatments, scenery was truly memorable. Thanks for making our ladies holiday an epic finish! - Lots of love." "The girls are so lovely and kind and give the best treatments! I'll be back for sure, wouldn't go anywhere else!" Buddha Gardens Day Spa is a business for purpose and member of the Business For Good international community. Through the B1G1 (Buy 1, Give 1) initiative, we’ve embedded giving into our business activity so we can make a meaningful difference on a global scale.